Like these appropriately themed second hand books collected from local op-shops and second hand book stores. Healthy and delicous, and pretty as well. Die your egg shells with food die, or for something more adventurous, try coloured devilled eggs. 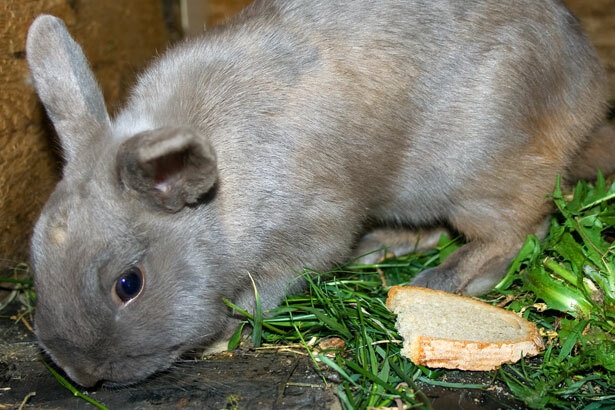 There are plenty of homeless bunnies and chickens available for adoption through the RSPCA. Just remember that an Easter bunny, just like a Christmas puppy, is a lifetime decision. Be a responsible pet owner. If real bunnies aren’t your bag perhaps you should consider a bag of toy bunnies, like this cute as a button carrot full of fairtrade bunnies. Or sit down with the people you love, no matter what age they are and do some easter crafting. 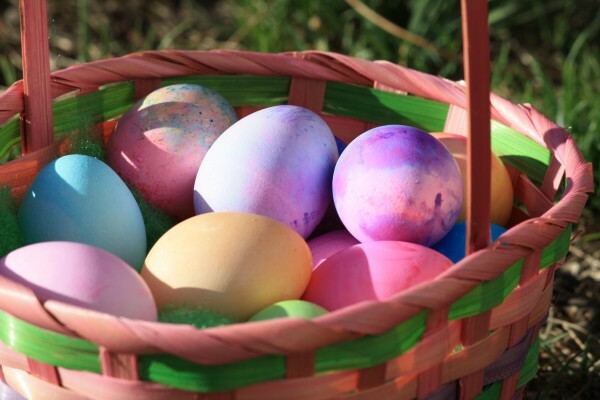 Be inspired by these 40 great Easter craft ideas. You might not think that the sugary goodness of jam would help with life expectancy, and realistically, eating it in moderation is most likely not going to have any effect whatsoever on your life expectancy. The thing is, depending on your heritage, it might not be your life expectancy I’m talking about. Today is National ‘Close the Gap’ Day. Something of a mouthful to say, but super important because if you compare the average life expectancy of non-Indigenous Australians to that of Aboriginal and Torres Strait Islander people there is an unbelievably large gap. A 10-17 year gap in fact. One amazing project that is working towards empowerment and employment for Indigenous Australians in remote communities is Outback Pride. Enter Jam. And sauces, and spices, etc. All delicous, all incorporating Australian native ingredients, this brand works to provide training and industry within traditional Aboriginal communities. My personal favourite is the Lemon Myrtle flakes, which I love to use in place of lemon grass in Thai dishes. This weekend marks the end of National Seaweek. It is also a long weekend in four states which means that a significant proportion of the nation will be tearing it’s hair out trying to keep small children occupied. Unless of course they read this blog, because I am about to share one of my favourite childhood games, that is not only appropriately themed, but also super easy to throw together with things you’ll already have (probably). Step 1 – take your child for a walk to find the perfect stick. You might wonder what the perfect stick looks like, and I couldn’t tell you, but I can guarantee your child will know it when they see it. Step 2 – turn your perfect stick into the perfect fishing rod. This involves cutting a piece of string to the desired length, tying a magnet to one end, and then fastening the other to the end of the stick. Step 3 – ensure there are plenty of fish in the sea. There are multiple options creating fish. Fabric off cuts, paper, old cereal boxes. Whatever you have lying around. Noting that being able to decorate the fish keeps your child occupied for longer, so materials need to be adapted for age and skill level. See some examples of fish below. Step 4 – release your fish into the wild. I personally used to love throwing my fish into the stairwell and then fishing through the railing. But if you’d like to keep it a bit more contained (or don’t own a stairwell, of course) then a big blue sheet or an empty paddling pool also works a charm. Got leftovers at the bottom of your percolator or plunger? Not a problem! We keep a jar of leftovers in the fridge for iced coffees. But if you don’t go through caffeine, glorious caffeine, as quickly as we do then pour into your ice cube tray and freeze. Then you can add them to your iced coffees (and espresso martinis!!) to get extra chill without watering down your drink. Be sure to transfer your coffee cubes to an airtight container or ziplock bag once frozen though. Noone likes that freezer taster in their beverage! When your dish brush gets a little bent and dirty, don’t throw it away. These are great for cleaning the shower, or anywhere else you might ordinarily use a traditional scrubbing brush. I love that the handle allows you some extra distance from some of life’s more unpleasant cleaning jobs – like this little doosey in our backyard. Why pay big money for BPA free lunchboxes when you have glass jars in the house? Not only do my old honey jars hold in a cold soup for transport better than any airtight sealed plastic number I’ve ever had, but these old coffee jars are the perfect size for packing salads – seen here with a quinoa and cranberry salad (yum!!). See this article for a great guide on how to pack the perfect salad in a jar. You know those little purple things that come around every bunch of herbs you buy? These puppies are actually suprisingly useful for repairing broken zips. Ok, so now I’m really stretching. But if you have no better option your mesh citrus bags can be used in the laundry as a wash bag for your delicates. Or things you need to keep together: socks, bikinis, lego (no kidding – I saw someone wash their lego in the machine Pinterest!!). Hooray for more money, and less landfill. Have a great week guys. Aussie products to get you through the Aussie summer!! Things are heating up here in Australia!! And it couldn’t come soon enough as far as I am concerned. Looking forward to wading in the ocean, long lazy days reading a book under a tree, a dip at the local pool… ah summer bliss. But summer isn’t always bliss. Skin damage, heatstroke, and the blinding glare of the afternoon sun can leave you feeling a little ravaged. And who better to know how to help with this issue than some dinkie-die Aussies themselves? Rival Swimwear is Australian made and has swimwear for everyone – from tiny tots having their first splash in the paddling pool, to Iron men looking for that perfect pair of budgy smugglers. Women who want to train seriously, or women who just want to look nice while they make a fool of themselves pretending to swim can both find something that works for them with this brand. In the interests of full disclosure, let me confirm that I fit squarely into the later category. I love Hamilton Sunscreens Everyday Face Sunscreen. Provides you with high protection, and a sweet little tint to help you look your best. But they also have toddler sunscreen, and normal sunscreen, and spray sunscreen. Who new you could have so many types of sunscreen. They have recently upgraded their entire range to 50+, which seems crazy to someone who remembers her mother talking about how ridiculous it was that sunscreens were going up to 15+. But we got used to that, and now I always use 30+. I guess it’s just a matter of time before 50+ becomes normal too. In the height of summer I will have a face spray bottle by the bed, one in my handbag, and one in the fridge. It’s so nice when you are hot and flusted to cool down with a quick, sweet smelling spray. One of my favourites is GAIA Rose Otto and Lavendar Refreshing Toner, pictured below. On Monday I went to the launch of the new YWCA Canberra Cookbook, Frugal Feast. This collection of 13 easy and affordable recipes is selling for $20 to raise money for the Lanyon Food Hub which provides emergency food relief for local families in need. Each recipe is accompanied by a story from the contributors who include volunteers and board members. The launch was held at the ANU Food Co-Op (which is awesome, btw) and featured sandwhich making demonstrations from two of the books celebrity contributors, Minister Shane Rattenbury – Member of the Legislative Assembly, ACT Greens; and Natasha Rudra – food and wine editor for the Canberra Times; along with Francis Crimmins – executive director, YWCA Canberra. Each told us the story behind their favourite frugal sandwhich and made some for us to try. The story behind my favourite sandwhich (or wrap – as pictured above) goes back 6 months to my time in Uluru with two of my favourite people. We were only there for a few days so we didn’t want to have to buy cheese for crackers and cheese for sandwhiches – so we decided to use brie for both. Yum-o. One of these lovely ladies is a grazer – one of those people who eats in tiny spurts all day long. And as such she always has some kind of trail mix, nuts or the like in her bag. On this particular trip she was transporting a packet of Craisins (dried cranberries). Also delicous. But it’s when you put these two ingredients together that you get the taste explosion. So what’s in it? DIY dinosaur – stencils and directions for cooling up girls (and boys) clothing. We know quite a lot of babies that are due in January. Some are little sisters to girls that were born in March last year, so they will be inundated with hand-me-downs; but others are first babies, making clothes a very appropriate gift. After hours of trawling through baby clothing sites (local and fairtrade, of course) I finally lost it. Why – in the name of all that is civilised – if baby clothes must be sold on line through seperate ‘boys’ and ‘girls’ pages, do the boys pages have to contain all the cool stuff? Boys get trains, firetrucks, dinosaurs, spaceships. Do you know what little girls get? Now I am not saying that girls should never be allowed to wear butterflies, and I think ruffled diaper covers are as cute as the next person does. But wouldn’t it be nice if our girls were encouraged from the day they are born to believe that being feminine is not all about lacey pants and fostering a love of quiet, safe, pretty things? A simple way around this would have been to buy some ‘boys’ clothes for the anticipated girls – leaving it to their parents to team them with pink leggings or little headbands if they were concerned about having to explain to every new person they meet that “no, she’s a girl”. But like I said – I lost it. So instead I bought pink and purple organic cotton onsies from Willy Wagtail (an Australian made kids clothing line) and a jar of Permaset textile paint (also Australian made) and set to work to make some very cool onsies of my own. First I drew a rocket, a pirate hat, and a dinosaur – frankly, 3 of the coolest things on earth – and cut them out to create a stencil. After I had my little stencils, I placed an old diary inside the onsie to stop any paint seeping through, held the stencil over the front of the onsie and got to painting. Now you might like to do something fancy – screen print, or whatever – but I just used a paintbrush I’ve had since highschool to brush the paint around. Can’t say I’m too disappointed with the results. Just in case you wanted to make your own onsies I have included an image of my stencils for you. Feel free to copy them, cut them up, and paint them onto the clothing of any child who likes cool things. Regardless of their gender. Oh, delightful Daylesford. Such a wonderful holiday destination I couldn’t fit two days of exploring and ethical shopping into one post. Last week I spoke about our stay in the lovely Hepburn Springs, a sleepy little village just outside which is perfect for an uber-relaxing getaway. If you are looking for a little more buzz thoug, Daylesford itself has a fantastic blend of shops, galleries and cafes to keep you stimulated. Good cafes are, I believe, are close to the most important part of any holiday. Specifically cafes that serve brunch. Luckily the Daylesford streets are packed with such cafes – although many don’t open til 10am – and most of them serve ‘Istra bacon’, from a local producer of small goods. A close friend of mine recommends The Book Barn, down by the lake, which also sells second-hand books (I am in heaven), but unfortunately this was temporarily closed during our stay, so I cannot comment further. The Convent Gallery is probably the best known of Daylesford institutions and is well worth a visit. This beautiful old building has rooms filled with canvases, jewellry and sculpture by local and international artists and boasts an equally beautiful garden. There is plenty to explore, including an old stair case which winds up to the bell-tower, or down to the small Convent museum, held in the basement. Once you grow tired of wandering through, you can sit and reflect under the stained glass windows of the chapel, or sit and revive in the modern cafe at the entry to the gallery. Daylesford itself wasn’t quite enough excitement for us so we travelled further afield to Creswick, which has a woollen mill. You can choose to do a tour of the mill, or like I did, spend hours wandering through their factory outlet instead. They have a huge range of locally made mens and womens clothing along with bedding. Although the kids section is actually quite small, they have some great products including these little jackets which are so cute I almost bought one even though I have no idea who I would give it to. We also drove the 40(ish) minutes into Sovereign Hill, Ballarat. Both self-confessed history nerds, Mr LLUF and I ran about this replica of an 1850’s gold rush town desperately trying to see and experience everything – the pouring of a $140,000 gold ignot, learning how to pan for gold, sharing a devonshire tea served by a woman in maids cap and apron. Incredibly Sovereign Hill has a number of artisans who work on site, hand crafting souvenirs using traditional methods. We watched the making of the boiled lollies which you could buy at the1850’s Grocer store along with hand made jams and sauces. In a somewhat modern twist these can also be bought online if you don’t want to go all the way to Ballarat to try them. You can also watch and even assist in the making of candles. We saw four girls working with the artisan to create some rainbow candles to take home with them and they looked to be having a really good time of it. Perhaps most incredibly, you can watch heavier industries at work such as wheelrights, blacksmiths, and the foundry where you can watch an artisan spin a lump of metal into a saucepan, a toothpick holder, a bell, and more, which you can then buy for what I thought was a suprisingly reasonable price. I must admit, between all these vendors I went a little nuts stocking up on locally made goodies. And so it was with a heavy heart, and a heavy back seat, we drove away from the Daylesford region. Hepburn Springs is a quaint little village just minutes from Daylesford proper, and like Daylesford is famous(ish) for its mineral springs. A quick google of Hepburn Springs and Daylesford may have you believing that mineral spa bath, winery tours and restaurant dinners are pretty much the extent of Daylesford. But this quaint little region has so much more to offer. We stayed at Clover Hill accomodation in private, comfy rooms that were super spacious, and CLEAN. My friends will understand the gravity of my approval when I say that it passed the ‘hair-test’ with a whopping five points remaining!! I’m not neurotic. I’m just detail-oriented, ok? Clover Hill provides some great complimentary facilities including gym, sauna, pool-table and dvd library. Your tarriff also includes a very well appointed continental breakfast, and champagne and chocolates on arrival. This secluded little getaway is on the far-end of Hepburn Springs, but still less than 5 minutes drive away from the myriad of antique stores, galleries and conveniences of Daylesford. Just up behind the Hepburn Bathhouse and Spa is the Hepburn Mineral Springs Reserve. A 150 year old garden with many little trails that lead off to rambling fairy grottos (see above), a tree-top walk, fields of daisies, and of course the mineral springs. Each of which can be accessed through an old fashioned pump system. We spent a few hours exploring, and still would’ve happily returned for a picnic the next day, or for a Rainforest Allliance certified coffee at the architecturally stunning Pavillion Cafe, if only we’d had time. Access to the reserve and springs is free, but make sure you bring a cup or waterbottle with you to make sampling easier. Each spring tastes slightly different, so it’s worth sampling them all, but prepare yourself. They all smell like sulphur, and with the exception of the Wyuna Spring, we decided that one mouthful was enough!! With this in mind we graciously requested tap water instead of mineral spring water when offered the choice while dining with Rubens@Hepburn. This is a delighful rustic diner, with tasetfully mismatched chairs and a delicous menu incorporating local produce with medditeranean tradition. Our meal included goats cheese from the award winning Meredith Dairy and Prosciutto and Chorizo from Istra Smallgoods. We teamed these with a Mt Franklin Pinot Grigio and an organic Sandy Farm Cab Merlot for the full local produce experience. So between a day at the park (to help you buy less), an abundance of local produce, access to nearby antique stores and a fairtrade coffee at the Pavillion cafe, Hepburn Springs ticks some serious – and somewhat delightful – boxes for an ethical holiday destination. But wait! There’s more! Look out for next Thursday’s blog about more of the wonderful things the Daylesford Region has to offer. I had promised myself I wouldn’t post about second-hand books (my one true love) for a while given my recent post on the great book swap but I was in the op-shop (again) today, and I overheard the Salvo’s turning away a box of books because they just can’t move them out fast enough. I hate to think of those books rotting in landfill and the family that Salvo’s can’t help because they can’t sell the books they have in stock. But I understand that many people prefer to watch movies, listen to music, and play on their phones than curl up with a good book, and that even many readers have converted entirely to eBooks. So what would most people do with a second hand book anyway? Well, thanks to Pinterest and an old encyclopedia I picked up this arvo in just one episode of House of Cards I can tell you they can make them in to super-cute bows to wrap pending birthday presents with!! And if I can do it, you know anyone can. No hilarious ‘nailed it’ pictures here. 3) Put one on top of the other and wrap a skinny slip of paper around them to hold together. Done.